Rebekah Cowne has 20 years of experience in the direct sales industry. 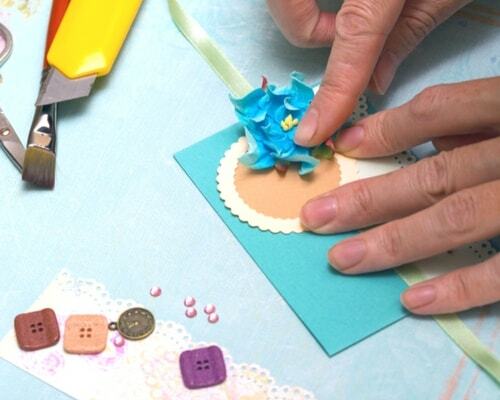 Find out how this former bookkeeper was able to take her passion for scrapbooking and turn it into a profitable and creative home-based business. My Father died when I was less than a year old. I didn’t have much to remember him by except for some old journals he had kept as a young adult. When I turned 18, I received a scrapbook from an aunt (his sister) with pictures of his life. It finally gave me the story I was looking for. Two years later, I was helping my mom at a vendor event for her direct sales company, and the booth next to us was from the same scrapbooking company from which I had received the book as a child. I became excited and decided that I needed to have that in my life. I quickly signed up, and my mom was really my only customer in those early years. Over time, I started to realize that there was so much potential in working for yourself. That I really could turn this passion into more. I have never been one to sit still in an office (strange to say since Accounting is my chosen profession) and I found that I did better working for myself. I had the power to hire or fire myself! I had the power to give myself a raise or demotion. Once I realized that I had the power, it was just about finding the right business for me and working it. Every business I have done has led me to this moment. When I sold chocolate, for example, I missed the crops and classes that I did when I was doing scrapbooking, so I created my own Day of Chocolate, a day of recipes treated much like a crop, where the food was the canvas instead of paper and glue. And even now, you better believe there is always chocolate at every crop. Once you figure out what your passion is, the rest comes easy. It feels like coming home. What attracted you to Kiwi Lane? Kiwi Lane started out as a retail company that I would see at different scrapbooking expos I would go to. They always had the prettiest booth with beautiful pages. When I found out they were going to change over to direct sales, I had to be a part of it! 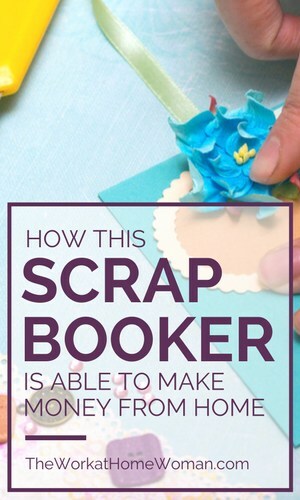 I loved that it didn’t matter if you were new to scrapbooking or you had been scrapping for many years, it was easy to use and it really helped expand your imagination. It opens up your creativity and helps you use those stash items up! How have you diversified your income? Kiwi Lane has allowed me to use my creative passion to build this business beyond just using templates and paper. It has led me to create classes, kits, crops and retreats for my customer base and truly turn this into a thriving business income. What should other aspiring consultants look for when they decide to join a direct sales opportunity? You want a team who will have your back. When researching a direct sales company, make sure and speak with current consultants and find out how well the company does at listening to the consultants as well as how stable the company is. Also make sure that whoever you sign up under will help train and guide you for success, the override they receive is so they can best help the people on their team, so make sure they are earning it! What has been the key to your longevity in the direct sales industry? You have to treat it like it’s a business. Set office hours, even if those hours are unconventional. Use every tool at your disposal. Your upline, your company incentives, and tools, your customer's input. If you treat it like it’s yours to grow, and don’t put it aside and stop watering and feeding it, you will have a blooming business. It is an investment of time and sometimes a little money, but it will sustain itself as long as you continue to invest your time. What did you do before joining Kiwi Lane? 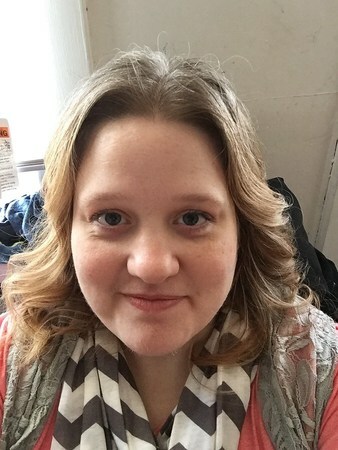 I have 20 years of experience with direct sales, the last nine with Dove Chocolate Discoveries (now called the Cocoa Exchange) and also worked a full-time accounting job. What do you love about the direct sales model? I love that direct sales allows me the freedom to do what I love in the times I choose to work it. I can spend time with my friends and family when I want to and change my office hours if need be (you can’t do that in a 9-5 job) and still get paid the same way. And I have a business that is completely mine to grow. But my favorite part is that I get to meet so many interesting people with so many interesting life stories and really feel connected to others. What advice do you have for booking more shows? Treat your customers with love and respect. Word will grow as they see that you treat this business like a business and treat them like they are people. When you are just starting out, find vendor events in your area that don’t charge you a lot of money (less than $100). When you meet people at events, get their information as you speak with them. Remember something special about them (maybe jot it down after they leave so you can remember). And always, always, always follow up with leads at any event within 48 hours of it ending. The people you meet will be impressed that you remembered them out of the many faces you met at the event and will know that you actually saw them. Truly connecting with people is the best way to book shows. Thanks Rebekah for sharing your story! Wondering if you have the right personality for a direct sales business? Do you have a creative personality, but don't want to work in direct sales? Check out these posts for ideas! Do You Have the Right Personality for Direct Sales? Originally published August 23, 2010. Updated May 1, 2017. How can I start my own toddler’s slippers business online? Hi Julie, Check out this post for general startup steps: https://www.theworkathomewoman.com/10-steps-to-setting-up-your-new-home-based-business/ Good luck with your business! What an inspiration! Keep it up! Glad you enjoyed Rebekah’s interview! I know how much time & love Rebekah puts into her business. Not only is she talented but her customers r very special to her. She truly loves the people she meets & really cares about them. Her love for the product is just icing on the cake! Thanks for stopping by, Theresa! I love how Rebekah has diversified her business with the classes and events. Love it!! Wish I lived closer to Rebekah so we could crop together :) So happy to see you thriving with a great business!